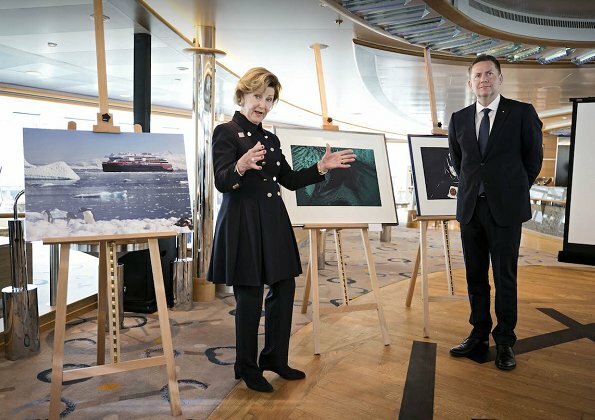 Queen Sonja of Norway attended an event on board the Norwegian cruise ship MS Fram in New York. 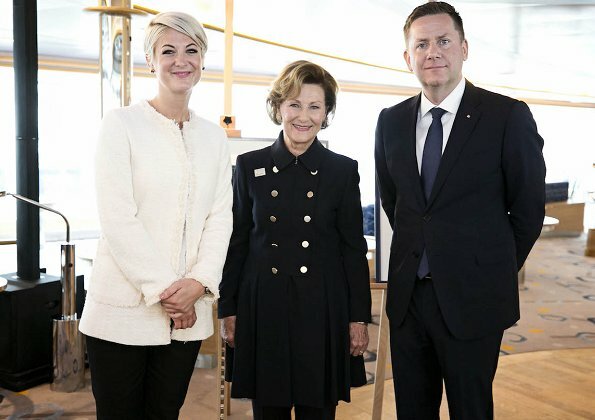 At the event, Queen Sonja announced the collaboration between her art foundation QSPA (Queen Sonja Print Award) and Hurtigruten (Norwegian Coastal Express). 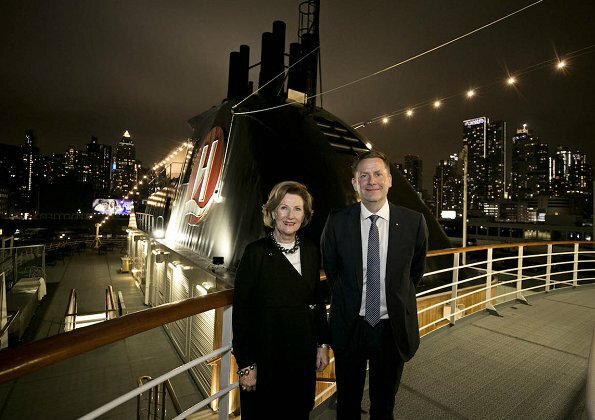 QSPA will curate the decoration of the new ship, MS Roald Amundsen which is at the wharf in New York. MS Roald Amundsen is the first of two new explorer cruise ships being built by Kleven Maritime, for Norwegian explorer cruise line Hurtigruten. MS Roald Amundsen is scheduled to be delivered in July 2018. She is amazing and looks stylish and youthful. Wow. I think having a passion to follow - in her case it's art - keeps you young. I admire her. She has style, always had. It has a lot to do with proportions and knowing oneself very good. More than to follow the designers blindly or to stick to the same colours or cuts forever. 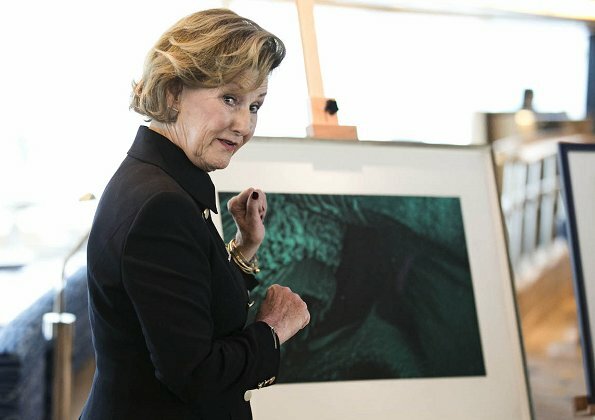 Queen Sonja has a sense for fashion and confidence - and passion!!! Good for her - it shows.